In a previous article, we talked about the three different kinds of fat: saturated, monounsaturated, and polyunsaturated. The reality is, all fats contain combinations of each of these, but fats are classified based on which type of fat is predominant. And your body needs all three of these types of fat for healthy functioning. But in today’s world, we are eating too many omega 6 fatty acids and not enough omega 3s. 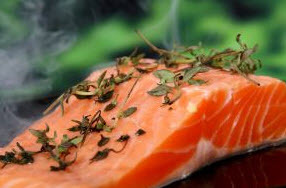 So instead of the 1:1 balance our body desires, the ratio can be more like 20 or even 50:1 omega 6 to omega 3. Since we are so omega 6 dominant, we need to look to minimize our consumption whenever we can, and knowing this plays an important role in the selection of the best fats and oils to use for cooking. The good news is that there are some wonderful healthy options out there to cook with instead. So let’s look at the five fats I use to cook with on a regular basis. Everyone has heard about the benefits of olive oil. Because it is a monounsaturated fat high in oleic acid and antioxidants, it provides numerous health benefits including one you may not have heard about: displacing omega 6 fatty acids while not impacting omega 3s, helping to balance our omega 6-3 ratios. Studies have shown that olive oil can help control and lower blood sugar, blood pressure, and LDL cholesterol while raising HDL levels. It has also been shown to have anti-inflammatory benefits and to inhibit LDL cholesterol oxidation, a leading cause of heart concerns. I don’t need to spend a lot of time singing its praises, because unlike some of the other oils I am discussing, this one is well-known and its benefits are well-marketed. So don’t let the shorter write-up lead you to minimize its benefits! The one thing you may not know about olive oil, however, is that it should not be used for high heat cooking. Other than a low heat sauté, it should only be used cold as it does not have a high enough smoke point to withstand higher heat without being damaged. This means that if you cook with it on higher heats, it can oxidize and turn rancid, leading to internal inflammation and health concerns. So definitely choose olive oil for salads and dipping and even baking! But let’s look at other oils you can use for higher heat cooking. Yes, it’s true. 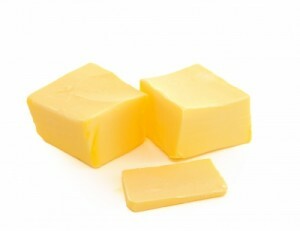 Despite what you have been led to believe by food manufacturers trying to sell trans fat-laden margarine, butter is a heart (and whole body) healthy option. Your body needs saturated fat to function and saturated fats like butter (and coconut oil which we’ll talk about soon) are easy to digest because unlike polyunsaturated fats which are long-chain fatty acids, short and medium chain fatty acids don’t require emulsification by stomach acids first. Rather, they can be used directly for energy instead of being stored as fat. 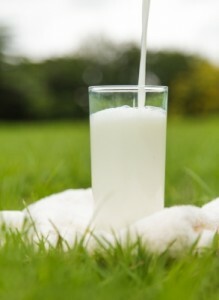 Saturated fat is required to absorb calcium and other minerals (a good reason to avoid skim milk: without fat, calcium and vitamin D cannot be absorbed). Saturated fats build immunity, are integral in cellular membrane structure and integrity, and are more stable and so less likely to oxidize; they can even help cells resist oxidative damage. Our brains run on cholesterol and saturated fat; they also make up a significant portion of the myelin sheath surrounding our nerve fibers and regulating message relays between the brain and our nerves, so we can’t live without cholesterol and saturated fat. We will talk more soon about heart health and when we do, I will share the extensive research that shows that saturated fats actually have a beneficial impact on heart health and cholesterol levels as well as blood sugar levels. We were raised on a diet of butter and lard and animal fat and only when we began to reduce our consumption did heart concerns escalate. For now, until we go deeper into the research, do not worry about indulging in some butter, though choose raw butter if at all possible, and if not, then opt for organic butter. The biggest concern about dairy products today is not the fat, but the hormones, pesticides and antibiotics we consume along with them when we eat them. We discussed coconut oil in a previous article and it is an excellent cooking option. In case you missed it, or even if you did read it since we often need to read something several times to take it all in, I will share a bit of why this oil is such a great health option. Coconut oil is a healthy saturated fat that has been proven to benefit heart health and even helps kill viruses, bacteria and fungi in the body. Coconut oil is a saturated fat that has tremendous health benefits and offers a form of fatty acids we don’t typically find in our diets. Coconut oil actually regulates blood cholesterol levels as well as triglycerides; therefore, it actually helps with heart disease prevention and treatment. Coconut oil also helps to prevent the oxidation of cholesterol and has been shown to be effective at lowering lipoprotein(a). And coconut oil actually increases your metabolism, so despite being a saturated fat, it is often used in weight loss and weight management programs. A study in clinical biochemistry confirmed the benefits of coconut oil on heart health. The study proved that virgin coconut oil lowered very low density lipoproteins (the troublemakers), raised HDL, lowered triglycerides and phospholipids, reduced total and LDL cholesterol levels, and was shown to inhibit LDL oxidation. The study concluded that we know that oxidized cholesterol can initiate the process of atherosclerosis and the fatty acids in coconut oil prevent this oxidation. The effects of coconut oil on heart health were deemed uniformly beneficial. It can withstand higher heat, so it’s a great cooking option. The only downside is that while it does not have a strong taste, it does have a slight coconut flavor. So it may not work in every dish but for sautéing vegetables or meat, it’s a go-to in our house. The best oil for high heat cooking, and the best oil you may never have heard of, is rice bran oil. Rice brain oil is similar to peanut oil in composition, with 25% saturated fat, 38% monounsaturated fat, and 37% polyunsaturated fat. You’ll recall that every fat is a combination but it gets classified based on what it has the most of, so technically, it is a monounsaturated fat, though just barely! Japanese restaurants for tempura and in Chinese restaurants for stir fries. It is extracted from the germ and inner husk of rice and has a very mild flavor. While I try to avoid frying or high heat cooking, if you cannot live without mom’s fried chicken or a family favorite recipe that involves deep frying or high heat cooking, you will definitely want to use rice bran oil. Rice bran oil contains an antioxidant gamma oryzanol as well as high fractions of tocopherols and tocotrienols taken together as vitamin E. It also contains phytosterols, the benefits of which have been shown to increase HDL cholesterol, and reduce total cholesterol and triglycerides. One study published in the Journal of Food and Chemical Toxicology showed rice bran oil decreased total cholesterol by 42% and decreased LDL cholesterol by 62%. The antioxidant stability of rice bran oil remains consistent even at high temperatures, which means it doesn’t change molecularly at high heat and doesn’t oxidize or cause internal damage. In addition, the antioxidant gamma oryzanol contained within it was shown to relieve hot flashes in women during perimenopause. After taking a supplement for 4-6 weeks, 90% of the women in the study found some relief. It has also been shown to inhibit platelet aggregation and gastric acid secretion. It is regularly taken in Japan as a supplement to improve cholesterol and no negative impacts have been associated with its consumption. Ok, this may be sounding too good to be true, and with all things, there is a downside. Rice bran oil has not caught on in America as it has in other parts of the world, and so it can be harder to find and more expensive. I recently bought some and paid about $8 for a 16oz bottle though you can definitely get it cheaper if you buy in larger quantities. This is significantly more than a bottle of olive oil or coconut oil. But I don’t cook on high heat often, so my bottle lasts me a LONG time. And given the harms of cooking on high heat with other fats and the benefits of using rice bran oil, it’s totally worth it to me. If you cook on high heat a lot, it may seem too pricey. But I would argue that if you cook on high heat a lot, rice bran oil is a health investment you need to make if you’re not willing to change your eating habits. 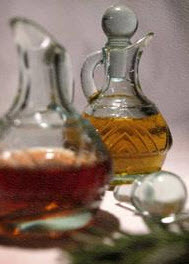 If you can’t find rice bran oil or you can’t afford, it, there is another oil that is suitable for higher heat cooking. It is often used by chefs because it has very little flavor and so unlike many fats that have distinctive tastes, grapeseed oil lets the flavors of the foods shine through. Many chefs will cook in grapeseed oil and then toss with olive oil when done to impart the olive oil flavor. While grapeseed oil is able to withstand higher temperatures, the downside to using it instead of rice bran oil is that in addition to not having the health benefits of rice bran oil, grapeseed oil is predominantly an omega 6 fatty acid oil. 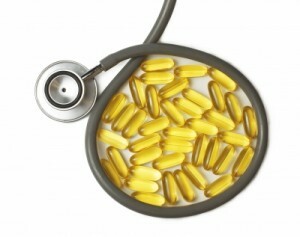 As we discussed previously, our diets are highly imbalanced in favor of omega 6s over omega 3s. So if you use grapeseed oil, you will need to increase your omega 3 consumption or supplementation. I take omega 3 supplements with every meal, but if you do not, you will definitely want to consider supplementing at mealtime if you are cooking with grapeseed oil. But grapeseed oil is cheaper and readily available in supermarkets and stores like Trader Joe’s. As long as you compensate for the omega 6 consumption, grapeseed oil can be used on occasion, but I prefer using the other four fats whenever possible.